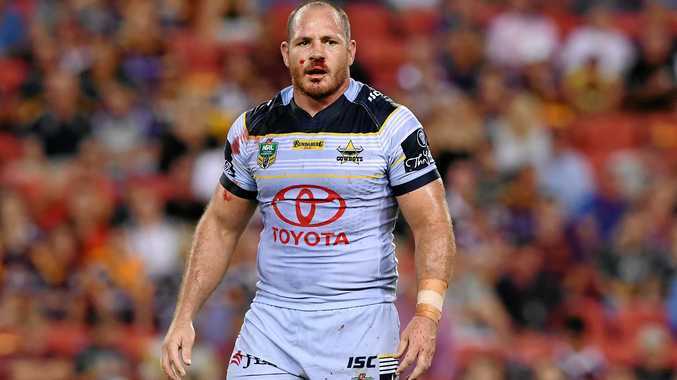 NORTH Queensland have sprung a selection bombshell ahead of their preliminary final against the Sydney Roosters with prop Matt Scott named in the team's squad. Scott, who ruptured his anterior cruciate ligament in round two, was expected to be sidelined until the start of the next season. The Australian Test star has been named in the No.21 jumper, but Cowboys coach Paul Green admitted he was unlikely to play. Green maintained that he would stand by the 17 men who did the job last week if they can all complete training this week. "If everyone gets through the week, he won't play," Green said. "But he's worked really hard through the year since his injury to put himself in the frame. "He wanted me to name him. I at least owe him that."